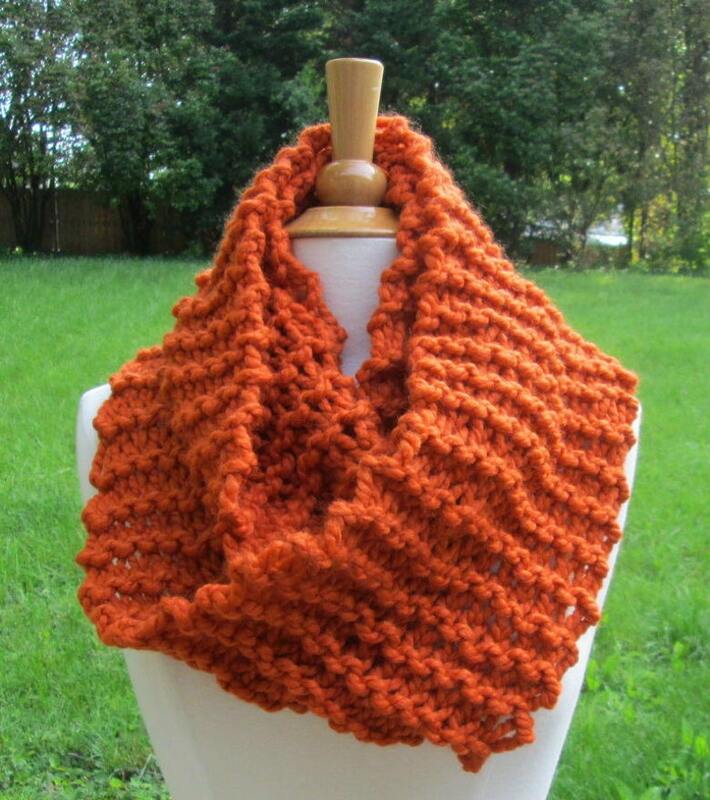 I've taken my version of her scarf and have done it in different colors for people who just like the look. The color is best described as an orange / dark pumpkin. About 66" in circumference, 7" wide.